The DoD just finished the last week of furloughs. While I have enjoyed taking advantage of some of the time off, I’m definitely looking forward to getting back to work as usual, as having people gone all the time was quite disruptive. But for my final day off, Bart and I decided to make the most of the opportunity and get out of town one final time this summer. 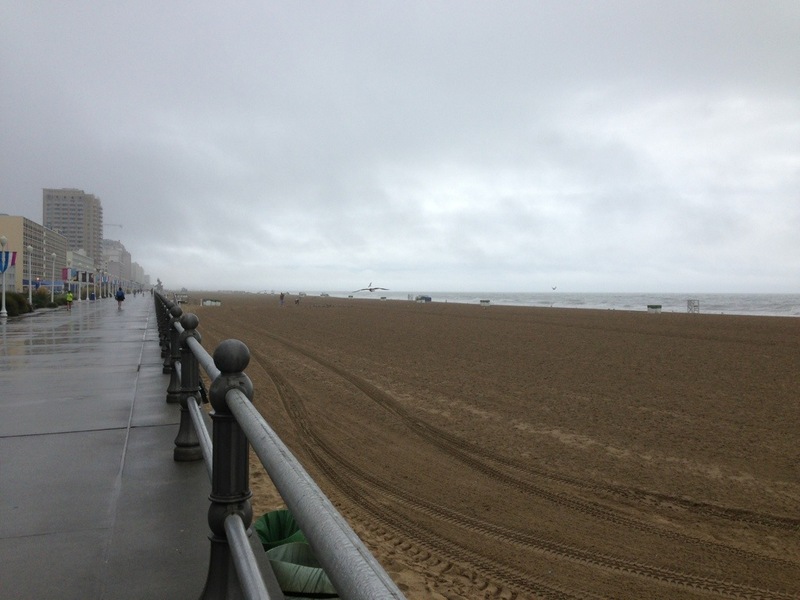 After much debating, we decided to head to Virginia Beach. Normally a day at the beach wouldn’t require debate, but we’re having a remarkably cool August, and the forecast was rainy and cloudy instead of typical balmy beach weather. We decided we would just go anyway, weather be darned. We left out Friday morning and spent the requisite extra thirty minutes in traffic on I-95 south between Springfield and Fredericksburg. Oh my gosh, I officially hate this stretch of interstate. But we finally broke loose and made it through Richmond and over to Norfolk. Traffic there wasn’t much better, but we did see some pretty huge boats at the Naval shipyard and drove through a tunnel under the bay as a huge cargo ship passed above us. Very interesting sensation. 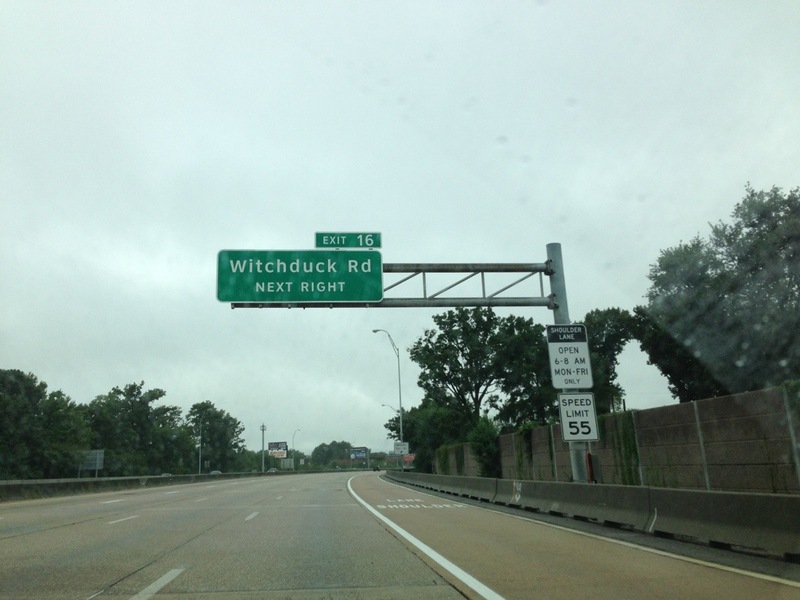 We also passed Witchduck Road (insert Monty Python joke here). Our hotel was across the street from the beach, so we spent some time walking down the boardwalk and on the shore. Due to the gloomy weather, that was the extent of our beach activities, though it was still quite pleasurable to get my feet wet in the surf. We also enjoyed walking down the main street parallel to the beach, checking out cheap souvenir shops, playing a few rounds of skeeball at an arcade, and eating gallons of frozen-yogurt-by-the-ounce. We had a couple of fun dinners and did a little shopping on Saturday afternoon. We had plans to cross the Chesapeake Bay Bridge Tunnel Sunday morning and go home via eastern Maryland, but we decided it wouldn’t be as enjoyable in the dreary rain. So we’ll save that for another day. Even with less than perfect weather, we had a fun time seeing new sights and getting away from work, DC, house hunting, and the daily grind. With summer drawing to a close and unseasonably cool weather, I’m starting to get jazzed for my favorite time of year–fall.